It's summer and everyone is busy planting their gardens. Pretty annuals and perennials are being chosen and arranged. Bushes and hedges are being trimmed. Lawns are being mowed. So what am I doing? Well, it seems I may or may not be backwards. I am starting an indoor garden. I know, it's summer and the living is easy, but I like to plan ahead. Okay, maybe I procrastinated and I am actually a few months behind, but I really want some nice indoor plants. That way when it actually is winter I can pretend it is summer. Talk about convoluted thinking. I am already thinking of winter when summer hasn't even officially begun yet. I don't like thinking about winter even when it actually is winter. It all started a couple of months ago. I saw where snake plants were good plants to have in your bedroom. They help to purify the air and they are easy to take care of. So I got it into my head that I had to have one. Sure enough the next weekend when I was out on a yard sale hunt I came across this one. It was a really nice size, healthy, in a pretty pot, and at $5.00 it was definitely coming home with me. This showed up next at my door for Mother's Day. How adorable is that? It's a bonsai ficus tree. I know because I asked my cousin who owns the family florist now and he enlightened me. I love it. A few weeks later I was in Goodwill. (When am I not in Goodwill) and found two pretty pottery pots. They were only $1.50 each. Have I ever told you how much I love a bargain? They are the perfect size for my wide windowsill. Now they just needed some plants, so when I was in Trader Joe's this past week I thought I would look and see what they had. I was really tempted by a succulent, but I knew that I wanted some fresh basil and they had a large display of basil plants. I also loved a tropical plant they had. So I got one of each. I'm having a definite senior moment on the name of the tropical plant. It will probably come to me as soon as I hit post. Don't you hate that? I moved my little lemon tree that I got for my birthday outside for the summer. I repotted it in a larger pot and it has definitely grown. It's got lots of blooms and eventually when the tree gets larger I should get some fresh lemons. Can't wait for that. So I may or may not be backwards, but I am really loving how my little indoor garden is growing. I love these and the pretty pots not to mention the bottles beside them. I have been thinking about this myself. I just can't do the heat. I have a window seat in my kitchen that I have yet to cover. It is so not practical. I wish I had not included it. So I've been thinking about putting plants there. WE'll see. Wow, yours are beautiful! backwards or forwards at least you are gardening. I have always wanted to grow a lemon plant. let me know if it generates lots of lemons for you. My daughter has a couple that she has had for several years and they generate lemons. I think it takes a couple of years. I want a lemon tree! I spend so much money on lemons - I use them every day in my water. I really need to get on the stick on that one. Snake plants are also dubbed "mother's-in-law tongue", did you know? I used to grow a lot of different house plants in the '70s. 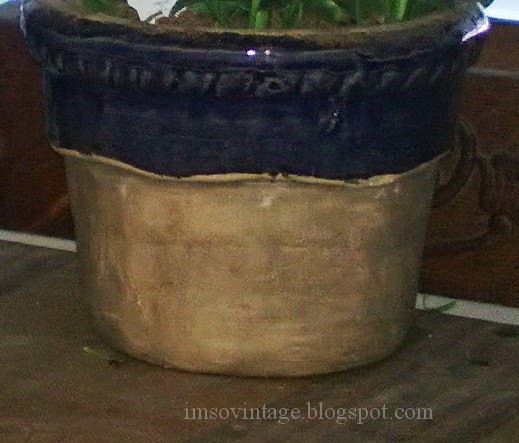 Self-watering pots or similar make-shift systems (Pinterest) are real time- and plant-savers for indoor plants. 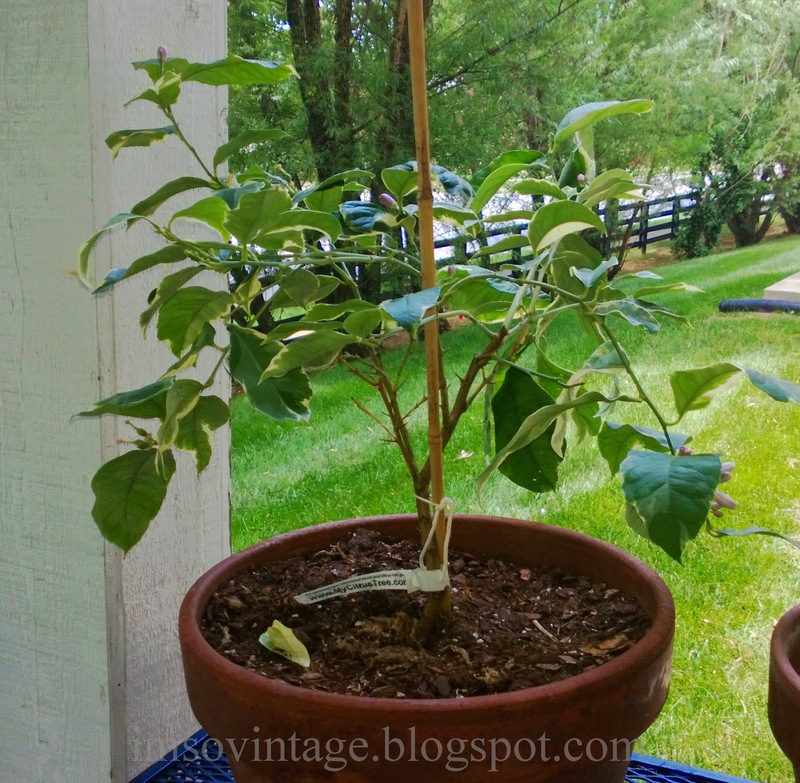 Your other plant is a schefflera - it will grow to the size of a small tree (I had one in my sunroom for years, started as a bereavement plant, and I finally purged it last year). Happy gardening! It pays to plan ahead. Your indoor garden is very nice! Your plants are neat...I could use the snake plant in my bedroom with my allergies. Unfortunately, I've killed every houseplant I've ever owned. I can garden pretty well outdoors but houseplants just don't like me! That lemon tree is so cool!! 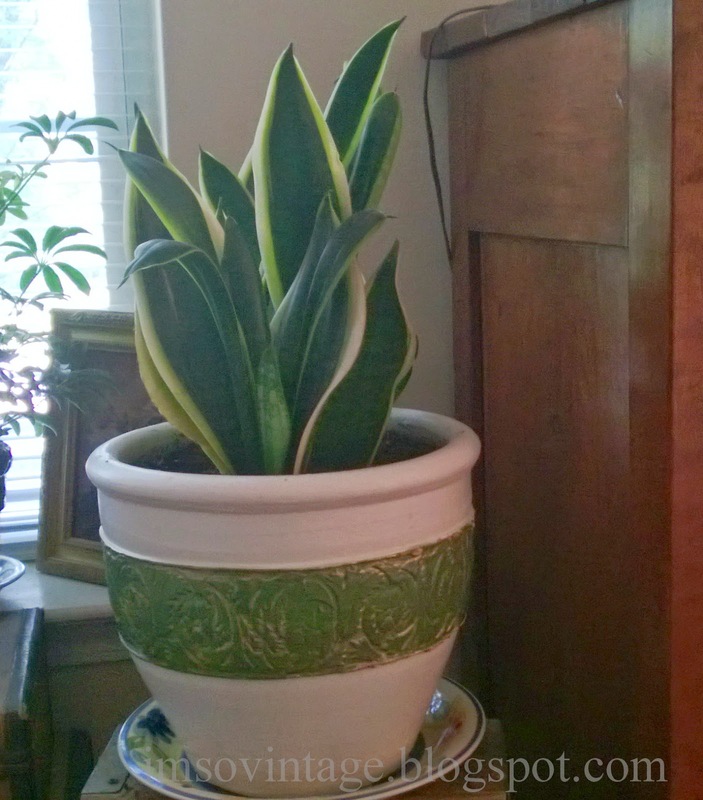 The great thing about the snake plant, Jane is that it is so easy to care for. Grows in almost any kind of light and only has to be watered every three or four weeks. My kind of plant. Thank you, Susie. I love the snake plant because it is very easy to care for. its always a good thing to have plants inside, they calm us and clean the air, you have chosen beautiful plants, and also your gift plants are lovely! Thanks, Laurie. 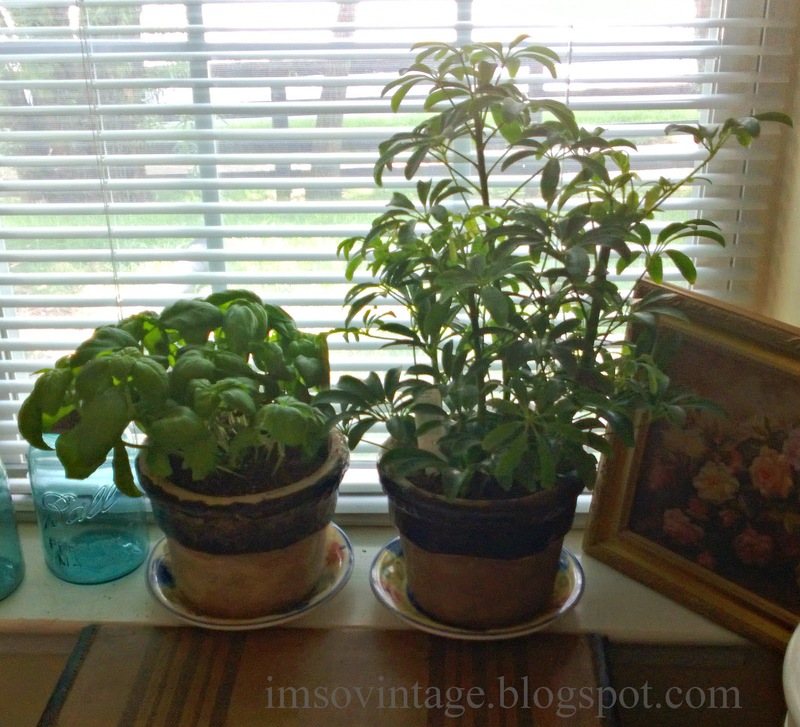 When I was younger I had a lot of indoor plants. I had forgotten how much I enjoyed them. Makes sense to me to do what works for you! :) And the plants look happy! I had a snake plant years ago and I remember it grew to be huge! They are a very nice house plant. Laura - Your indoor garden is looking good!! Just think, you won't have to get out in the heat and water them and will still have them all thru the winter. Sounds like a great idea to me! Definitely a better investment for me, Judy. 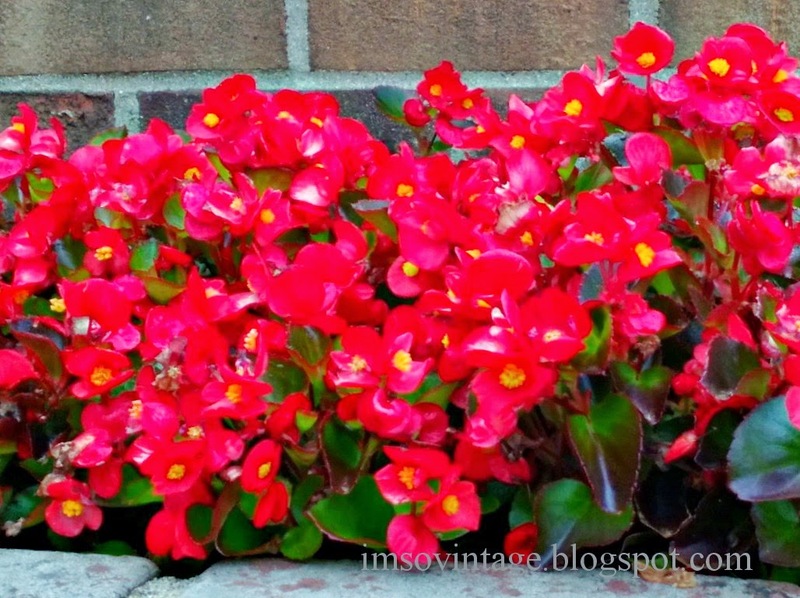 I just didn't have the money for annuals this year and I know I will love having these when the weather is cold again. I think you've got the right idea, Laura. Because if someone is wanting to plant outdoors now, it's probably too late to get the roots established before the big summer heat zaps them. Better now, for outside, to wait for fall for perennials. And I'd just wait period for annuals. So when it's hot as can be and no one can even stand to go outdoors, you will have your little zen garden. Yes, they do indeed purify the air you breathe. And that plant name came to me as soon as I saw it, and then was zapped away by a senior moment. Spider plants and pothos are great for the air too. You can google NASA I think and they will tell you of more plants. You've found so many wonderful pots! And having plants inside is so healthy when our homes are shut up tight. Enjoy your week sweet friend! Hugs! Laura, I am finally home and just retrieved my little pots of plants from my daughter's house. I am ready to add some more plants since I missed the outdoor planting time and it's too darn hot now! Love what you found! 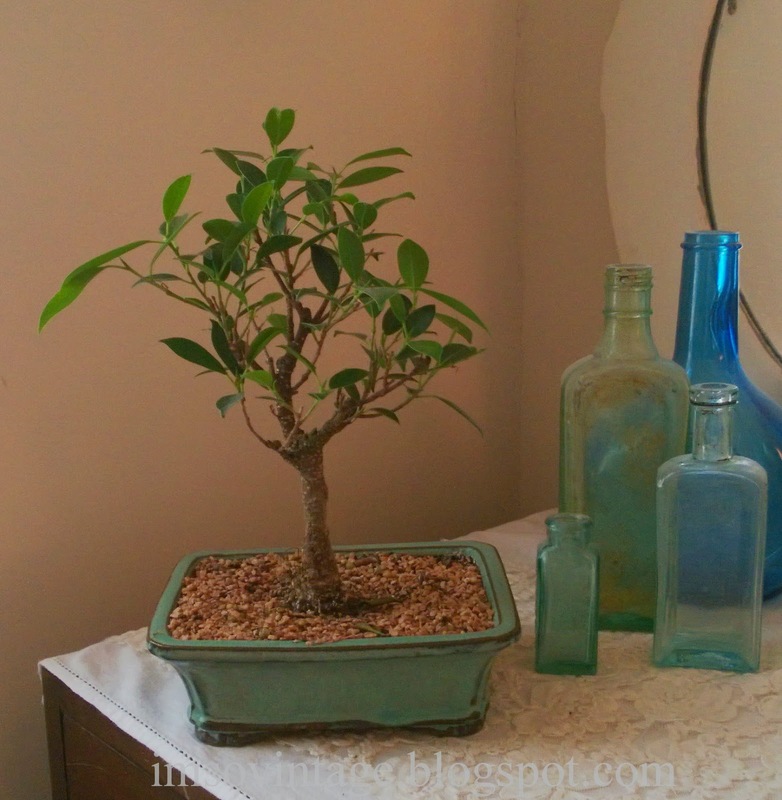 I was already thinking of adding a plant or two to my bedroom! Now I will for sure! That's a good idea! You'll enjoy taking care of the plants while being cooled by your AC! It has been scorching hot here in the 90's. It's too hot to plant anything new now. I love to have indoor plants in the summer. Keep us posted on how the basil does inside! You will enjoy your indoor garden. If you sit outside and have a fly problem, take the pot of basil with you. Basil helps keep them away from you. I never grew basil indoors and I am interested to see how it does. Love the pots you found and what a deal!